Alivia spent the weekend with me and we had the best bonding time. We played hide and seek, dress up, did her nails, had Disney movie day, did her homework, played barbie dolls, went shopping...I took Monday off just to recuperate. But I'd do it all again. 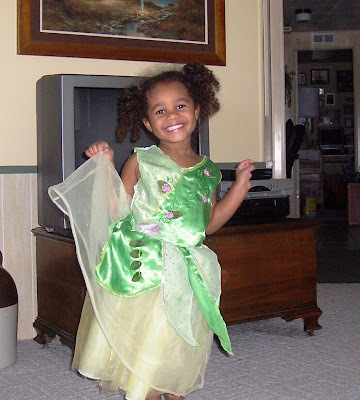 Alivia has most of the Disney princess dresses and she's a girlie girl all the way. Isn't she beautiful? It's hard to believe she's only three. So cute! Look at her hamming it up for the camera!